Peñasquitos Lutheran Church is a great place to work! PLC staff members enjoy working with people and using their gifts and abilities to enhance PLC’s programs. Peñasquitos Lutheran Church is seeking a well-qualified candidate to be our next Director of Youth Ministries. This is a full-time position that includes competitive salary and benefits. To apply, please download the Youth Director Hiring Packet and send a résumé, letters of reference, and PLC Employment application to Rob Horne, Associate Pastor. 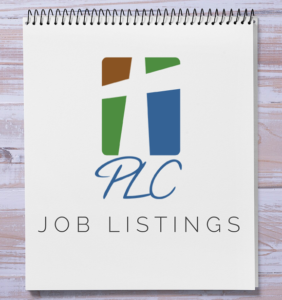 Peñasquitos Lutheran Church (PLC) is seeking a well-qualified candidate for a part-time position as our Worship Associate. To apply, please download the Worship Associate Hiring Packet and send a résumé and PLC Employment application to Paul Schwappach, Director of Worship. Peñasquitos Lutheran Church (PLC) is looking for a Worship Intern for the summer of 2019. PLC is a congregation of approximately 600 worshipers with an active and diverse team of 25 musicians led by the Director of Worship. The intern will serve, lead, and grow as a musician and worship leader as well as get a glimpse of full-time ministry. To apply, please download the Summer Worship Intern Job Description, apply here and submit a résumé to Paul Schwappach, Director of Worship.